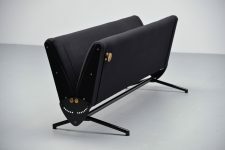 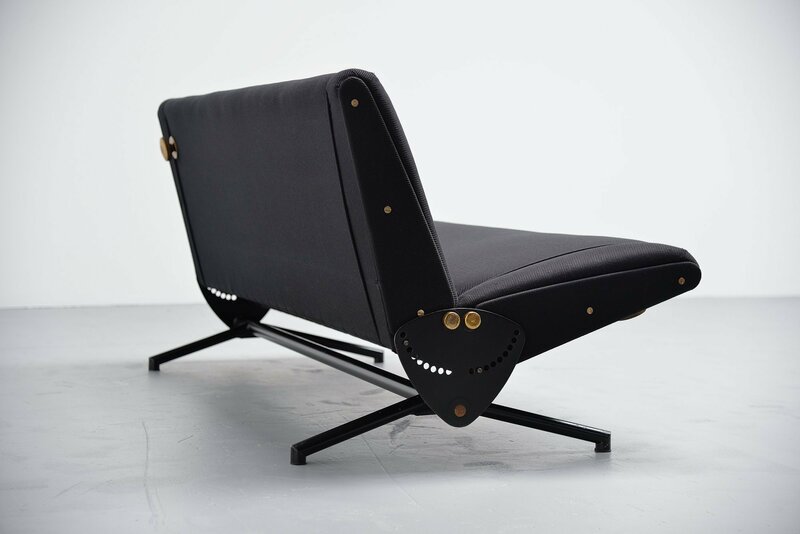 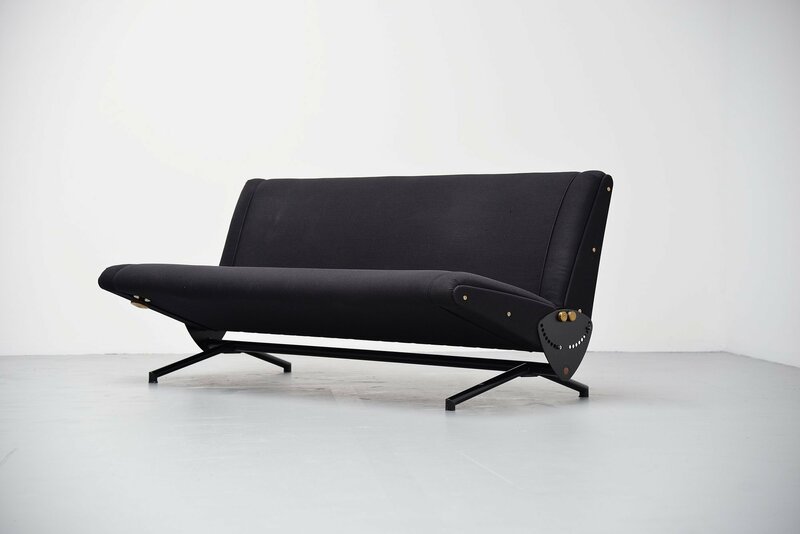 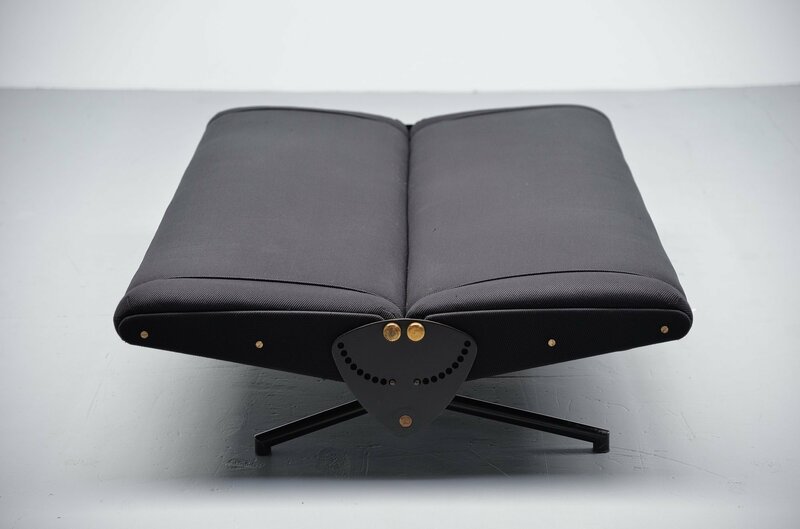 Iconic folding daybed sofa designed by Osvaldo Borsani and manufactured by Tecno Italy 1954. 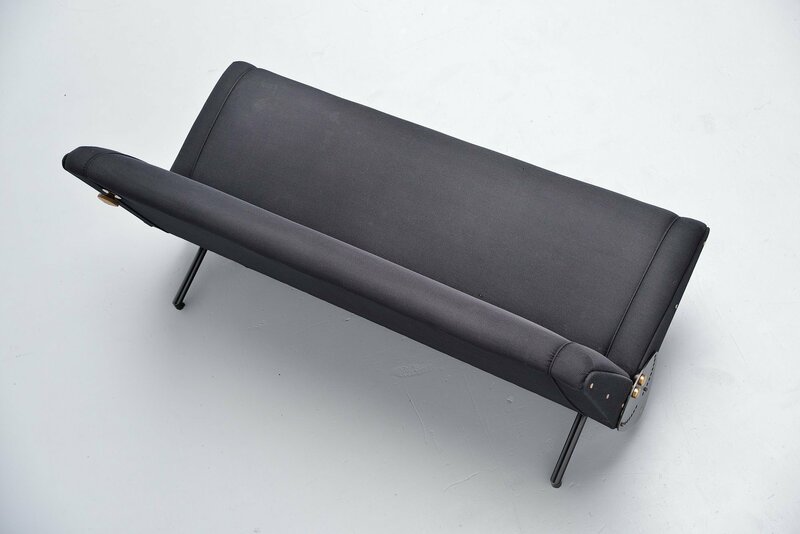 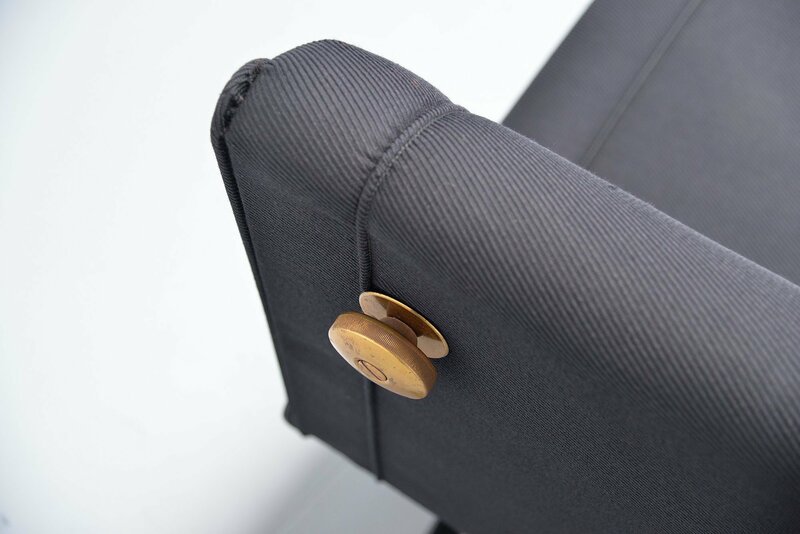 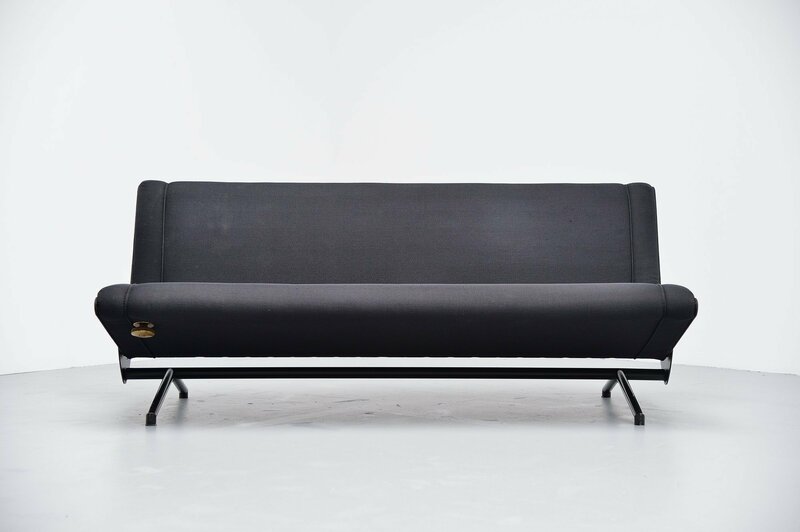 The sofa has a black lacquered tubular metal frame with brass adjusting details. 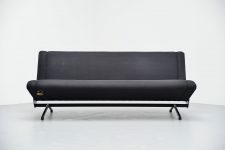 It still has its original black ribbed upholstery that is in fair condition with minor marks due to age and usage. 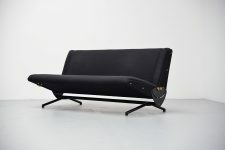 The foam is still good and firm. This sofa has an ingenious system for it to fold up or down as you wish, can be adjusted in 18 different positions. 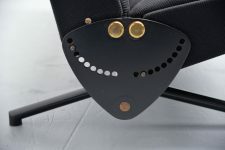 Marked with the Tecno tag on the sides.